Happy belated New Year to you all! 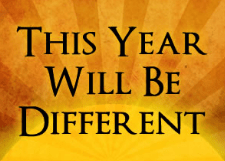 The only thing that I’m certain of this year is that it will be different. There’s a good chance that it will be better (I started it off with a great holiday!) but as there’s no guarantee, there’s also a chance that it could be worse… In any case, I’ll be doing my utmost for it not to be the latter! I only set 5 goals last year and the focus on just a few goals seemed to work well for me so I’m going to do something similar for 2017. Average 50% savings rate – Same old, same old! I have not been able to achieve this goal yet (3 attempts so far!) but I just feel that if I can nail this (while working), and continue to keep my living expenses down, it’s the best way to make progress on increasing my Future Fund. A very challenging one in any case, considering my current unemployed status but hey, may as well aim high! This month and the next two will be covered by my pay in lieu of notice so I will aim for 50% for these 3 months anyway – will see what happens after. £1,500 total dividend income – Last year, I surprisingly hit the £1,000 milestone in total dividend income. This is another tough goal, as in order to increase my dividend income, I need to invest more capital. Transferring my work DC pension to one of my SIPPs will help towards this goal, as I’ll stick the transferred funds into income-paying ETFs. If I can get an average of >£100 per month, I’ll be very, very happy. Earn £4,000 Matched Betting (MB) income – This number may not seem very ambitious considering the earning potential of MB but I still think this won’t be an easy one for me. Given that I’m not working, I could/should be doing some MB during the day but that doesn’t appeal to me and I still consider MB a hobby, I don’t want it to become a chore. There’s also the real threat of getting more of my betting accounts ‘gubbed’, (where I can no longer take advantage of free bets etc) but let’s hope I can continue to rake in the profits. Borrow and read 20 library books – The same as last year’s goal. Borrowing from the library means that I spend less on books but also means that I am supporting my local library services. I’m going to try to read a total of 30 books this year (I track my progress here via Goodreads), of which at least 20 must be borrowed from the library. Read 3 non-fiction books – Last year’s goal was reading 3 finance-related/investment books. This year, I’ll broaden it out to just topics that interest me (including financial and investment topics). Doesn’t sound like much but as I’ve said before, my passion is reading fiction so this is a challenge for me! Hopefully, I can borrow them from the library so I can work on two goals at the same time! Charity Goal – Down the Toilet? As per last year, I will continue to donate at least 10% of my MB profits to charity, so if I hit my MB goal this year, that will be £400. The main charities I donate to regularly are Age UK, Macmillan Cancer Support, British Red Cross and Magic Breakfast. I also fund ‘charity loans’ via Kiva. However, the first donation I’ve made this year was to sponsor TheFireStarter to run the London Marathon in April. Check out his fundraising page here. 2.4 billion people don’t have somewhere safe, clean and hygienic to go to the loo1also known as toilet, lavatory, WC, bog, privy or bathroom, plus some other names not mentioned! , something that we’ve taken for granted every day of our lives. Toilet Twinning is a simple way to solve a serious problem and save lives. You can twin your loo (like towns are twinned) with a latrine halfway around the world, in a country of your choosing. For a larger donation, you can twin with a school block or with toilets in a displacement camp. My goal is to twin with a School Block of toilets (donate £240), as well as continuing to support above-mentioned charities. My donation will help build a block of toilets at a school, providing safe, clean and hygienic sanitation and also help fund hygiene education and clean water projects. The lack of a loo in certain developing countries makes women and girls a target for sexual assault as they go to the toilet in the open. Many get bitten by snakes as they squat in the grass! Having no toilets to go to in school, girls often drop out at puberty. I hope my donations will make a difference to people’s lives. New Job – I will have a new job at some point. New Exercise – I found out recently that there’s a place near me where all comers can play netball. I was on the school team so the last time I played was when I was 17! Following the recommendation of one of my ex-colleagues, I thought I’ll check this out – I’ll attend my first session in the next two weeks. The extra exercise will supplement my gym classes as I need to shift some post-holiday poundage! Unfortunately, I’m suffering from a bad cold at the moment, so exercise isn’t on the forefront of my mind. So that’s it for my goals – did you set any goals for 2017? This entry was posted in Blog Update, charity, Earnings, matched betting, Savings, Self-Development, Well-being by weenie. Bookmark the permalink. Wow weenie, your blog has everything! In one post you’ve painted two mental pictures that I’m pretty sure would never before in the history of the world been linked together… playing a glockenspiel* and receiving the unwelcome attentions of a hungry snake while on the job. Good luck with your 2017 goals, manhunt, musical endeavours, and conquering of the sporting field. * and yes, I did have to look up what one was… none of your fancy pants musical instrument collection at my former state school! Slow Dad recently posted…Where will all the part time jobs come from? Thanks but I would hardly describe the state school I went to as being ‘fancy pants’ – I guess there must have been a good Music Department budget! Some real creative thinking here Weenie, your brain clearly thinking more broadly now you have some time and relaxation! Definitely worth starting on retirement hobbies early, and even if your musical inspiration doesn’t work out it might lead to a related one that does. The netball sounds like a great idea too. Reference your non-fiction reading goals, try anything by Michael Lewis, who writes on finance but always makes it interesting. Thanks – I started thinking about my goals while I was away, so yes, clearer thinking due to relaxation! The new musical hobby is very relaxing too and has already resulted in less staring at my mobile phone/tablet screens! There were some other new hobbies that I was thinking of taking up but I didn’t want to overdo things! I have Lewis’ ‘Big Short’ on my to-read list already and see that he has written others I’ll probably be interested in. Anyway good luck with the goals. Sure you’ll smash the MB one I know you say you don’t want to do it all day but an extra hour in the morning reckon you bump up the profits big time. Love the charity goal(s), I’ll also be following you in again on that one. You may not be building a school but the lavvies are just as important! Bit of a cliff hanger with the musical instrument! I’m intrigued! I’ll guess at a banjo Haha. Training for and running the marathon is what I’d call an ambitious goal! 🙂 But yes, I like keeping things simple these days. Thanks and I guess you’re right about the MB – no harm in checking things out during the day for a bit – I guess I’ll have to start looking at horse-racing! I’m not saying anything about the musical instrument, although it’s certainly not one that I would have had at the top of my list previously! I like the keep it reasonable on the goals! Fingers crossed on the 50% (while working!) – its one heck of a target to go for but if you don’t aim high..! Whilst the £1,500 is a huge amount of income, and the need for capital, don’t forget all those dividends you have reinvested as well, the start of the snowball. >£100 per month will be a great result, so hopefully again you should smash this! From my point of view very sensible on the matched betting to treat it as a hobby and don’t overdo it – question is could you try and make that your “full time job” whilst your dream job comes along? The donations will always make a difference – so congratulations on choosing a more unusual charity. I always look at how much actually gets used for good causes compared to advertising, costs etc. which is something to consider. Fingers crossed on all of the New Stuff for this year! Yeah, that 50% SR goal will be a real stretch! Oh yes, I’ve forgotten I’ve been reinvesting the divis, so hopefully, I won’t be too far off this goal in the end. As regards to the matched betting becoming a full time job whilst I’m looking for work, I’d have to say ‘no’. I could ramp it up a bit but the big money is with the casino offers and with the ‘gambler gremlin’ still within me, I don’t want to be tempted to stray off the path by those offers. As TFS says, probably a bit in the mornings should see an increase in profits. Yeah, good call re the admin costs of charities. Tearfund, who run the Toilet Twinning initiative say that 92p of every £1 goes towards the actual cause, so that’s not too bad I guess. Cheers and all the best to you too! Some really challenging goals but I’m sure you’ll hit them come the end of year. I really like what you are doing on the charity front. Keep it up! I hadn’t heard of Lendwithcare before and you’re right, they appear to be similar to Kiva. I have no idea what I was searching for when I came across Toilet Twinning but it’s different, yet so important eg re hygiene and disease. Congratulations on nailing down your 2017 goals and hats off for aiming to achieve a 50% average savings rate – that’s far high than most ever achieve and should see early retirement within easy reach! The 50% SR will be a real stretch but worth going for! Thanks for the congrats and kind words.